Best Bachelor Party Limo in Toronto! With the last night of being single, we know that you are ready to enjoy a night out on the town with all of your friends. This crazed event is a night that you will remember for years to come. This can be a simple dinner with your friends or maybe a bar with your buddies. Whatever the occasion, we are here to assure you that you enjoy your last night of being single with our superb limo rides. Partying is our specialty with our top of the line staff and expert drivers. Toronto Limo VIP is here to provide you with the best service possible for this milestone event in your life. With our unique and vast fleet, we have many different limos that you can choose from. With this being a party event, we have party limos that can provide the best in entertainment and enjoyment. These party limos consist of the party bus or the party hummer. These great limos are fully equipped with a full bar for your drinking pleasure as well as surround sound radio for a loud party atmosphere. 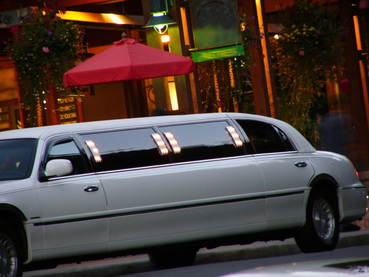 This gives you the chance to cut loose and enjoy your time in the limo, with ease and comfort. With our vastly experienced drivers, we know all of the great hotspots that is available in the city. With these great drivers readily available, they can help you plan your escape for the night. These hotspots are great venues that you would love to party at and have a night. This can consist of dance clubs, strip clubs, or the hottest restaurants in the city. Whatever you want desire, our staff and drivers have the knowledge and knowhow to get you there. With you and your crew enjoying the night out on the town, you will be treat as a VIP the whole way. This includes the royal treatment from the driver as he opens and closes your door, and even the red carpet service if you feel the urge. With this treatment, we want you to remember this day for many years to come. This gives you the full experience of our services and our limos, all for your partying enjoyment. With party in hand, we also provide decorations to fit the design of your party. This can include balloons or banners or both, along with whatever entertainment you desire. No matter the desire, we can make it happen. This only furthers your party plans, as we put your party into perspective. With all of our great services, you can be sure that you will enjoy your last night out of being single. You can sit back and relax, knowing that you can drink in ease and be as loud as you want. 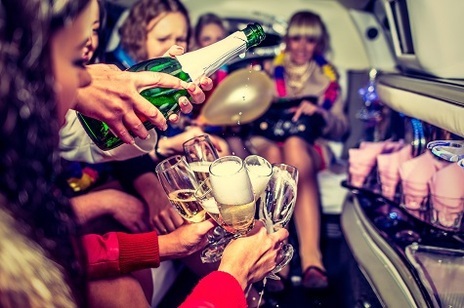 Toronto Limo VIP is here to provide you the best in partying for your special night. Book today to get your party rolling!